Jupiter, the most massive planet in our solar system — with dozens of moons and an enormous magnetic field — resembles a star in composition, but it did not grow big enough to ignite. 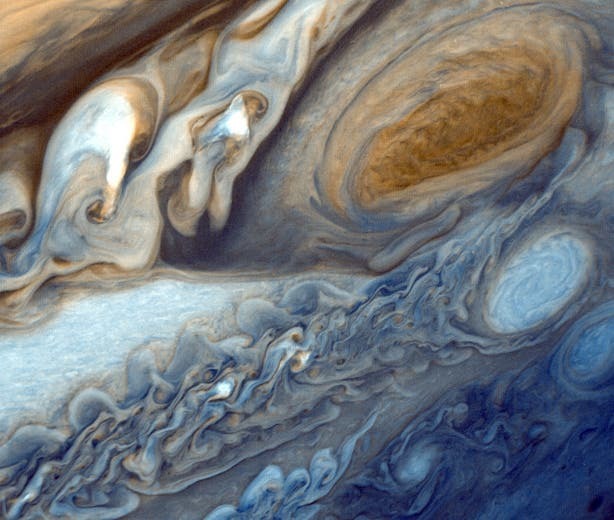 The planet’s swirling cloud stripes are broken by storms, the most massive being the Great Red Spot, which has raged for hundreds of years. EcoAlert: Only 1/3 of Near-Earth Asteroids Detected!